This post was written for a creative writing class I wrote three years ago. I made a few changes; other than that all I can say is the memory seemed like it happened yesterday. Creepy in a good way. When I was a caregiver looking after my niece, I was always amazed, and occasionally annoyed, why kids are so full of questions. And I can’t help but wonder that I was like them when I was young: full of questions but the only difference is I don’t have the courage to ask, to find an answer. As I grew up I follow the verse saying “Seek and you shall find” and so I searched how to volunteer on my free time. I was able to collect information but, again, I am hesitant to ask. In some occasion it took me a month to send e-mails; from the draft folder few have managed to end up in the sent folder. But one day, an opportunity came—too tempting and fitting—that gives me no alibis anymore such as the time is conflict with work, the location is too far, or the weather is too cold. Now all I have to do is ask. All I have to do is sent an e-mail, a medium of communication I am comfortable to do every day. Without thinking of the outcome, I clicked the send button. A few days after, I had a phone interview that lasted not more than five minutes. It was nothing like my experience when I was interviewed by an immigration officer in my first day in Canada at the Vancouver International Airport. He asked with intensity and authority. I wonder how I can be like him, possessing at least a quarter of his skill. It was a moment that feels like forever for he literally holds my future in his hand: I can either go home or start a new life in Canada. The immigration officer and the interviewer both gave me a chance. I chased kids in the park in daylight and volunteer online at night through my laptop. Other volunteers were working with me but I never them. Now that it’s all over I’m still wondering about my online volunteering experience. Losing the fear to ask has opened doors of opportunity. What if I just let it pass then I would never experience the joy of helping, working without expecting monetary return, and the best part is doing things I love and not having to become someone else. I will always wonder about that experience and, with all honesty, I know that I didn’t regret asking for a chance. It’s all about who I am at the moment; with all of my strengths, weaknesses, and circumstances, still, I realized I am capable of doing something—for others. Become a first-hand receiver of response or information directly from the reliable source. Don’t rely on assumption or maybe. Don’t focus on fear. Distract yourself with action. You have the ability to ask. Use words in a way you are comfortable of expressing your thoughts. Write that e-mail or letter or dial that number. So this is how my online volunteering happened out of stubborn determination. 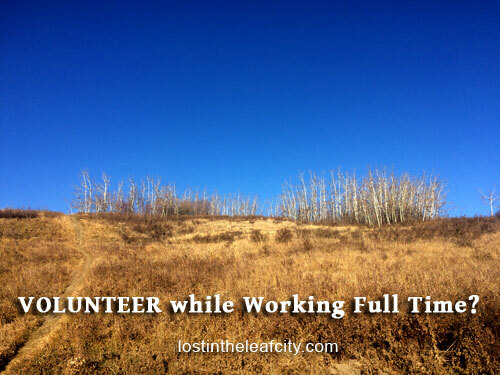 I’ve had a couple of non-online volunteering which I’ll share in another blog post. Have you tried volunteering? Share in the comment your experience and tips for others on how to get started. If you are looking for a volunteering opportunity search a list of charities. Look into its website volunteer page and see if it interest you. Propellus is also a great site to start with. You can also subscribe to the newsletter of different organizations on which you would like to be part of, using your skills, matching your qualities. A newsletter, is the e-mail you receive once you subscribe. It gives you an update of anything about the organization such as events, announcements, and volunteering.